Almost done working in New Orleans and ready to head back to the US Southwest. 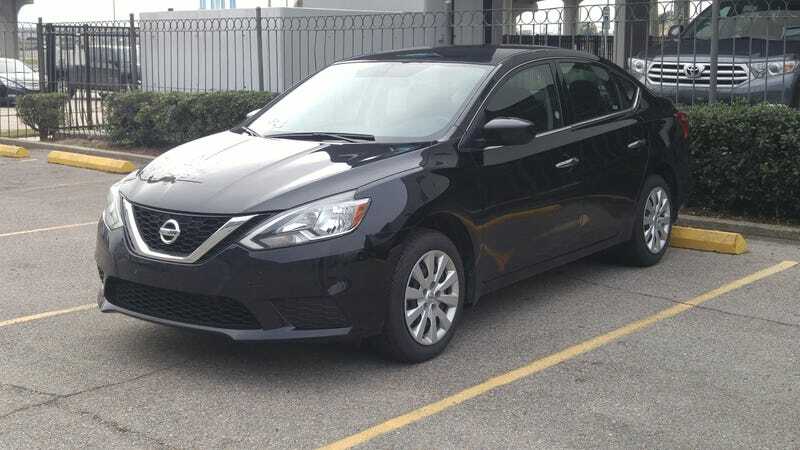 Been in this Sentra since Friday, had a Versa Note before, was in a Maxima and a Murano weeks prior. All I can say is that there is no brand consistency at all! Nissan, you’re all over the map!! Are you quirky, boring, avant garde, by the book, fantasically eccentric, bombastically beige? I DONT KNOW WHAT YOU WANT TO BE AND NEITHER DO YOU!!! Maybe we do need a Nismo badge on comatose cars just to denote whether the things are going to be wildly boring or accidentally entertaining. Maxima and Murano feel fresh and swanky. On the flip side, Versa and Sentra come from the factory feeling as if they are on their 4th owner! I never know if I’m getting a budget “premium” vehicle or a budget “economy” vehicle until I open the door! Even within the same model lineup the cars can go from feeling as if they were made from donated panels and parts to being thoughtfully designed by a room full of Christmas elves and people paid to design vehicles. Nissan, are you the lowest price point brand in the US or are you the best near luxury value around? Are you all about fuel efficiency and being an appliance or performance and being the Penultimate Driving Machine? Is your styling quirky and futuristic or neutral and unoffensive? Seriously Nissan, you are self contradictory at every level! Is that your thing, being the automotive equivalent of those old Starburst Contradiction Commercials? I don’t care what you do, be Scotch Korean if you want! Just be consistent across your range. Have a brand, dammit!